Fine Food magazine recently published it's Best Brands 2011-12 review. We were very proud to be included in connection with our 2011 win of the Speciality Importer award. It is great to see so many passionate foodies pursuing their love of great food and drink. Although the UK is not widely recognised internationally as a culinary destination, it is home to some of the finest foods and drinks. The UK now is now home to some of the best restaurants and chefs. Together, the UK will become a well-known destination for food lovers around the world. From this we hope that there will be opportunities for the industry to export worldwide and support an every growing band of small businesses for whom nature is key to producing sustainable, high quality products. To all the small and medium businesses involve in the UK food and drink business we wish you another great year. Wan Ling Tea House looks forward to participating in the 2012 Great Taste Awards and having the opportunity to sample more wonderful produce. 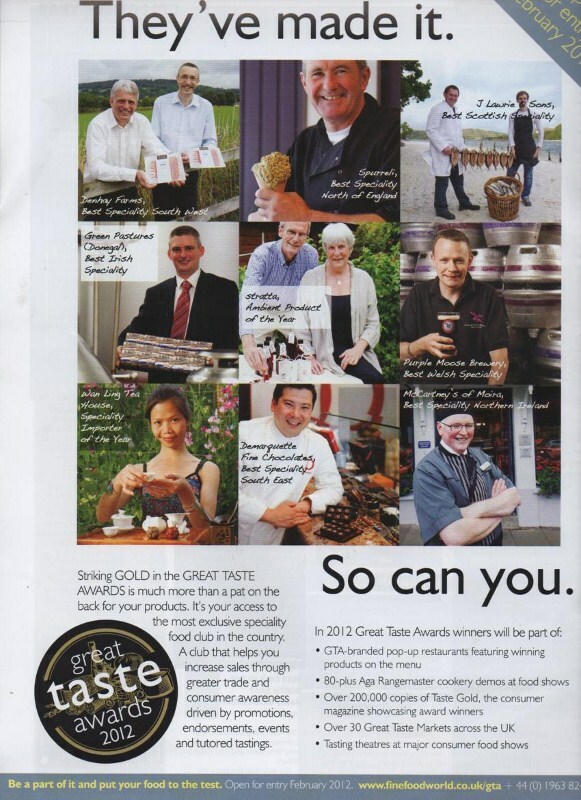 Look out for the Great Taste Awards logos at your local speciality food and drink deli/farm shop. Read more about Wan Ling Tea House's Speciality Importer award here.